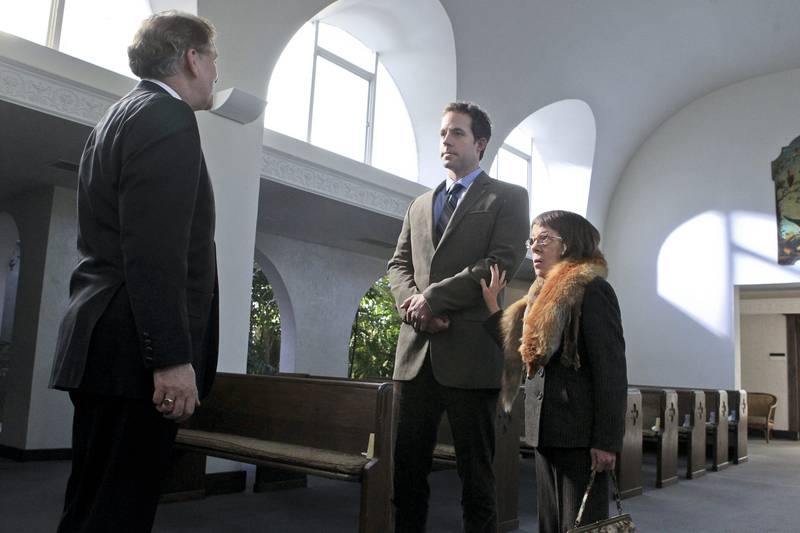 Pictured (L-R): David Bickford, Peter Cambor (Operational Psychologist Nate Getz) and Linda Hunt (Henrietta "Hetty" Lange). A distraught widow is suspicious of the circumstances surrounding her Marine husband’s last battle and Sam and Callen help to determine if there has been a cover-up. Meanwhile, Hetty summons Operational Psychologist Nate Getz to be her “pawn." Photo: Sonja Flemming/CBS ©2012 CBS Broadcasting, Inc. All Rights Reserved.